Fiddlers Green • View topic - i love fiddlers green 'plans' for building rc airplanes!! i love fiddlers green 'plans' for building rc airplanes!! Post subject: i love fiddlers green 'plans' for building rc airplanes!! this plane has a 'build' thread that shows how i did it from start to finish. i just bought the racers cd, and im seriously thinking on doing the chester goon next. but there are some others in the racer set that im also considering. weee. too much fun. thanks fiddlers green for making great, cheap rc plane plans!! RCG Is my main hang out and I found FG from a thread there where one of our members built a 8' wing span B17 from a up-scaled card Model that turned out Amazing. I have recently started building card models and am having fun assembling these tiny models. I think putting together the small card models are honing my skills for the larger foam RC models I build. 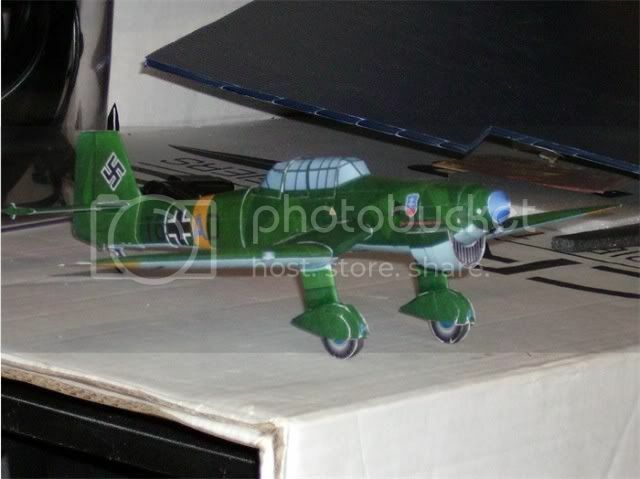 I just assembled a Luftwaffe JU-87 Stuka that I am going to upscale the plans for a 50"wing span scratch built foamie. should be a pretty easy build once I get the right size of the formers I will need for the fuse and wings. working from 3 view plans is pretty simple too. 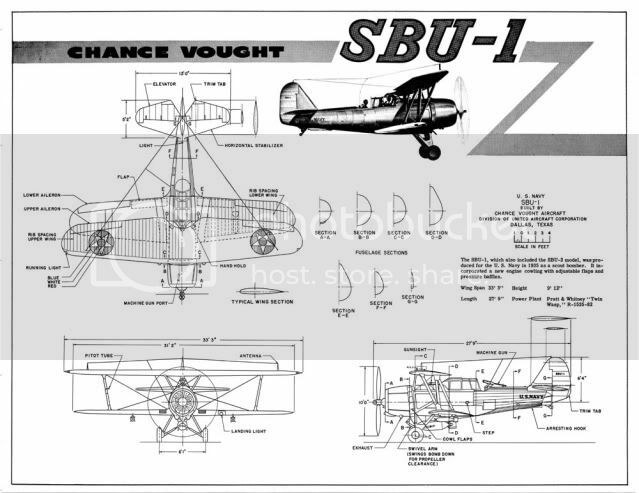 I think it is another one of my Favorite WWII Navy dive Bombers and the Corsair is most definitely my favorite Pacific Navy/Marine fighters so anyway I am going to design and build a 50" ws scale model of the Vought SBU-1 Bomber as my contribution to the Foam RC modeling community. willygoat if you can build card modeld then you aren't going to have much of a problem building with foam. dude, awesome work, keep it up!